Seemless Checkout at Your Next Event. Eliminate Long Lines at Checkout!" Seemless Checkout at Your Next Event. Eliminate Long Lines at Checkout using Qcheck! Our event management software can provide you, your staff, and volunteers with everything you need to effectively plan, conduct, and analyze your benefit auction. Reduce costs, minimize risk and get faster access to your money by converting paper checks into electronic transactions! Upload an invoice and send it to your customer via email and your customer can pay by clicking on the payment link! 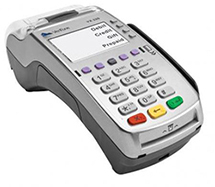 Strategic Merchant will place a POS terminal or Virtual terminal for 1st time acceptors. Special introductory rates & fees.